On the weekend, at a friend’s birthday party for their daughter, we ended up manning the BBQ by virtue of the fact that we were just standing next to it. This can happen a lot especially if you show even the slightest interest. Because the next thing you know, you have the apron on and BBQ tongs in hand. But I had good reason to be interested. They had specially ordered South African sausages or should I say a single sausage. 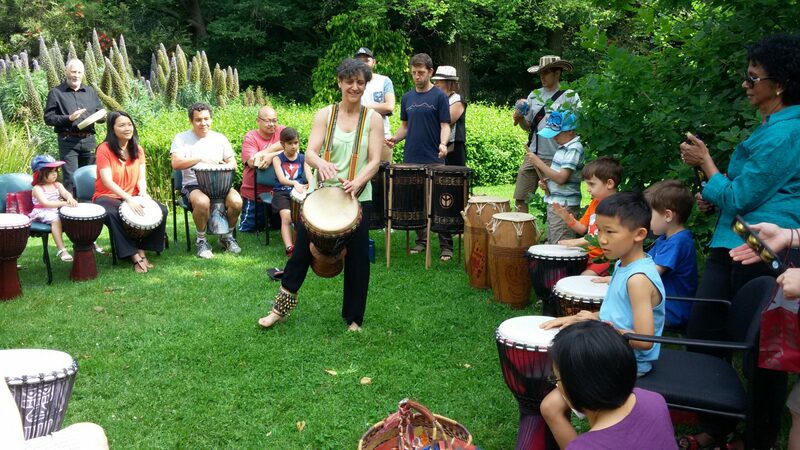 What’s a party without drums, drums and lots of drums. Now these are not your usual sausages you see at the local butcher or supermarket. These were Boerewors. (pronounced Boo-ruh-Vorse). 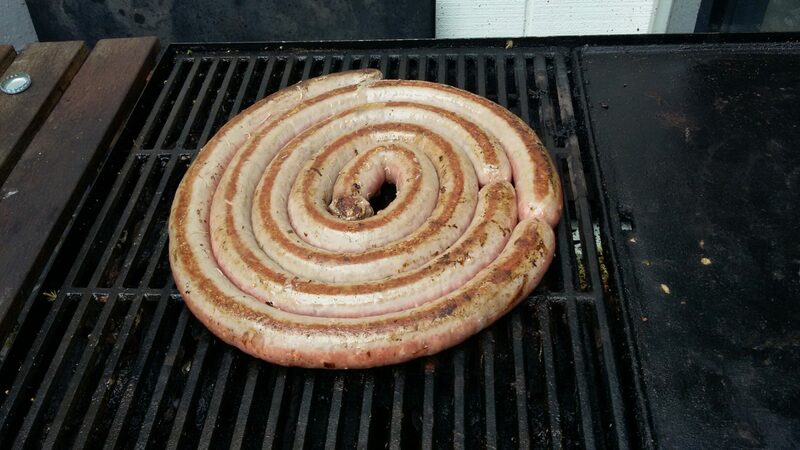 Translating to mean “farmers sausage”, this South African specialty has a long tradition and is a must at any BBQ. Apparently to qualify to be called Boerewors, the ingredients are regulated by law and must have 90% meat. In addition, there cannot be any “junk” meat in it. 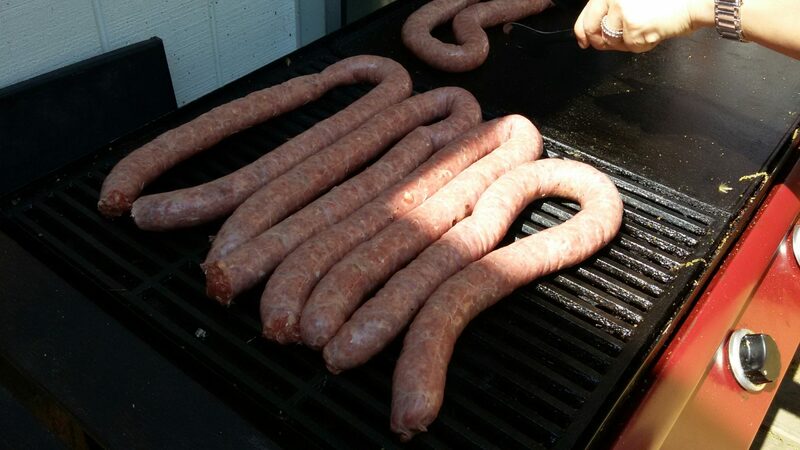 But the most interesting thing about it all is that it comes in one long continuous sausage. So, there we were cutting it up into sections so that it would fit on the BBQ. Before long, we found out that we were doing it all wrong. There were other guests from South Africa at the party and one of them told us that the right way of doing it is not to cut it but twirl it round in a spiral. That’s how they do it back home and that way it also keeps all the juices in. So, we stopped cutting it up and just laid it out on the BBQ in a continuous roll. It looked really funny to us and we all had good laugh.We also realised how tricky it was to then turn it over. But we did manage that with two of us doing the lift and flip in one non-stop motion. When it was all cooked and cut up to be eaten, all I can say is that it was downright delicious. One of the juiciest and tastiest sausages I have ever had. And just like our host said, it was pretty much gone among the guests with not much to go round for seconds. ← Joey (my lemon tree) has new leaves! That was most interesting. Who would have thought there was something new on the BBQ circuit? Yes who would have thought Anne! I found out later that you had to skewer them to make turning them easier!